Don’t you wish we could all 3-putt like this? Mitchum, who performed this trick shot at Pinehurst Resort and Country Club, has played in four PGA Championships, was a U.S. Amateur semifinalist, played on the U.S. Walker Cup team, won the North & South Amateur, the ACC Championship and was a four-time All-American. He’s also been the Carolinas Golf Association Player of the Year 767 times (number is approximate). Mitchum is one of Pinehurst’s lead instructors at the Pinehurst Golf Academy. He’s also finding ways to make practice fun at EpicGolfGames.com. Imagine what he could teach you. *UPDATE – Kelly Mitchum has an EVEN BETTER 3-putt. Read about it here now. EDITOR’S NOTE: To see a Vine of the original trick shot and to read about the story behind it, go here. 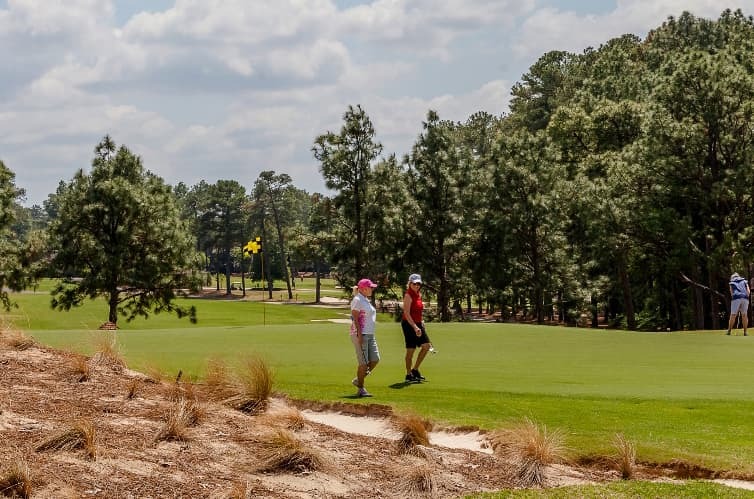 For more Pinehurst Golf Academy Tips, go here.